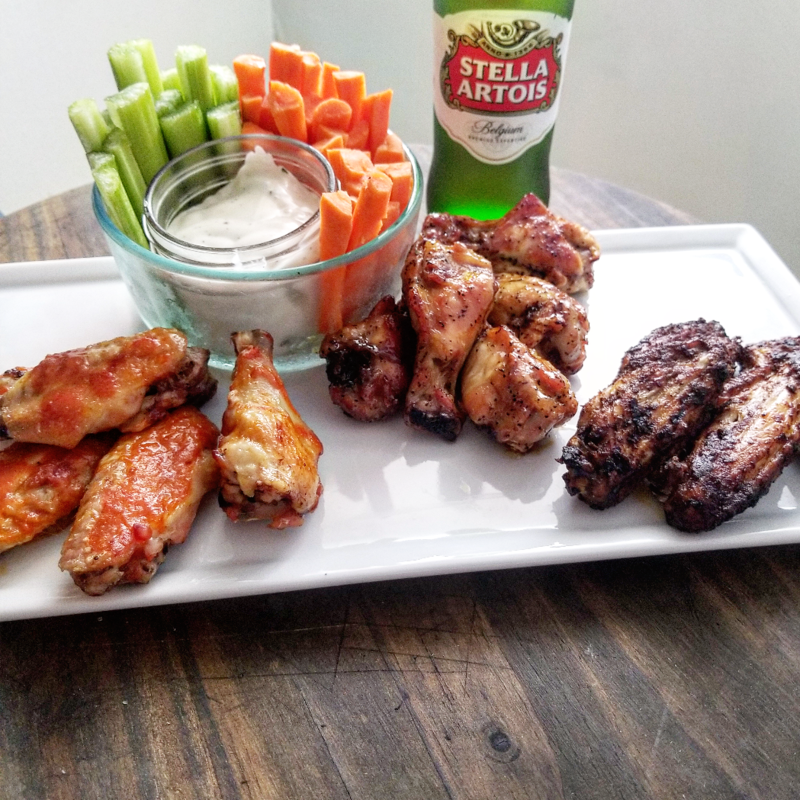 In honor of the upcoming Super Bowl, I wanted to share some of my FAVE Game Day food ideas with you so you can be the Super Bowl MVP of your party!!! 1. My fave wide receiver, Larry Fitzgerald, wears #11. And – fun fact – he’s from Minnesota, the home of this year’s Super Bowl! 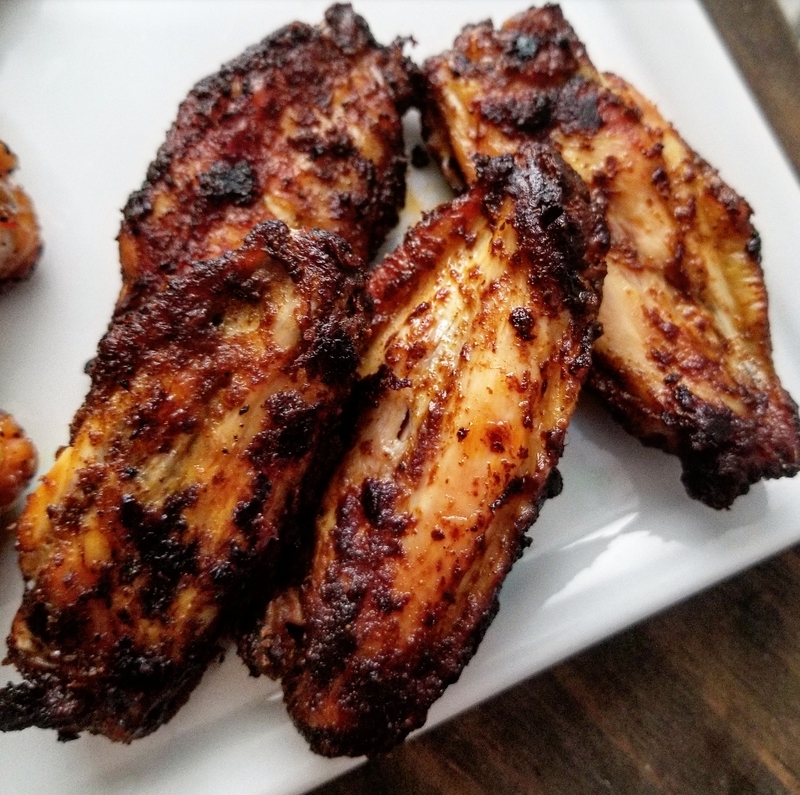 Now… since you can’t have Game Day food ideas without the quintessential Game Day food… I figured we’d start with chicken wings! 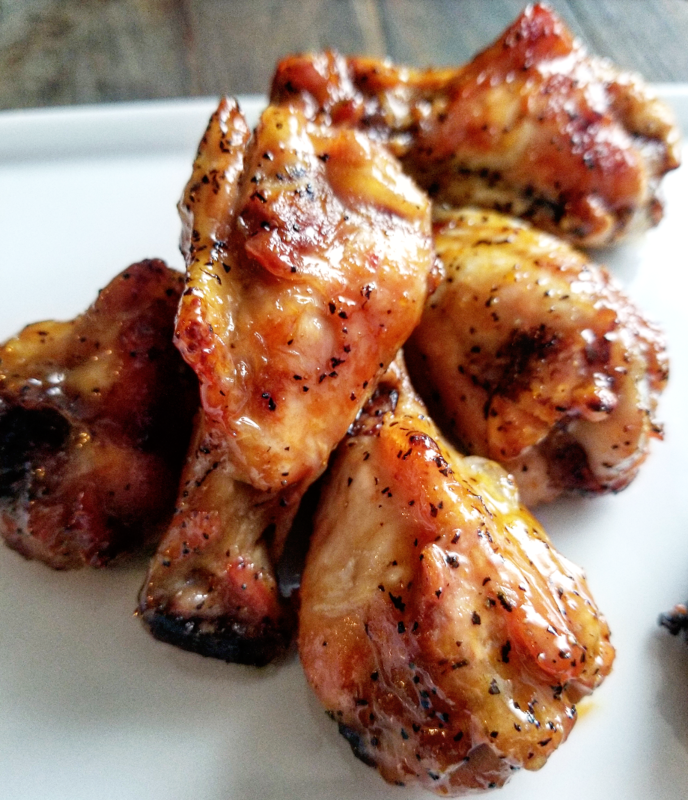 To make the wings healthier, I baked them instead of frying them. It may not get them quite as crispy, but will save you some guilt-free room for the other recipes coming!! 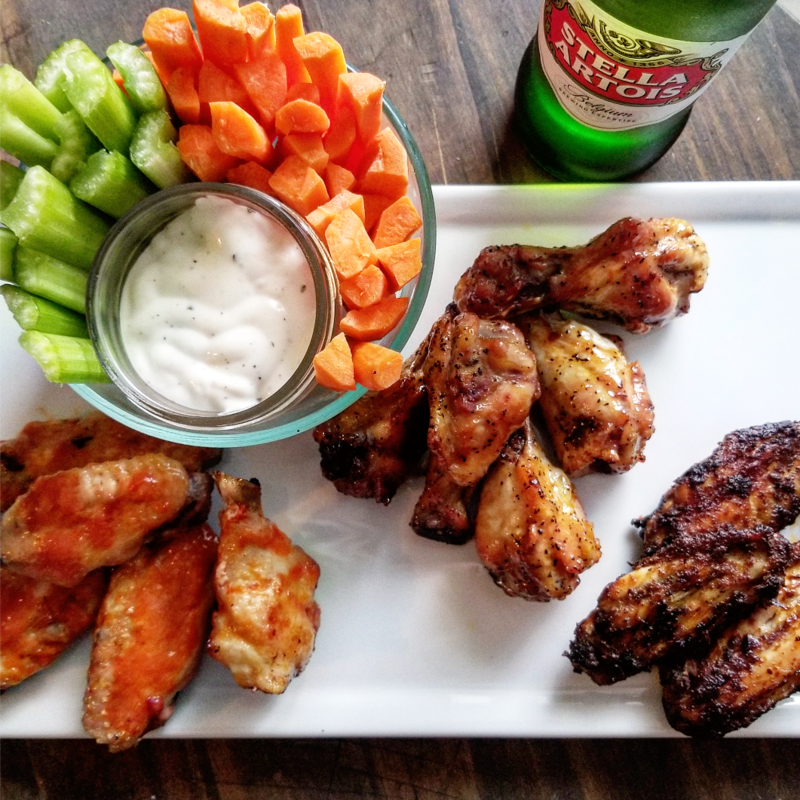 And If you have an oven-safe wire rack, place that on a baking sheet with the wings on top of the rack to ensure crisper wings! Bake at 400 for 45-50 minutes [or longer, if cooking from frozen]. Baste with extra sauce & turn wings. Bake for another 8-10 minutes, or until the internal temp is 160°. Mix all together in measuring cup. Cover wings in half the sauce, reserving the second half for the end of baking. Mix all together & pour into Ziploc bag. Drop in wings & shake until covered. To save yourself some time & energy, if you don’t want to make your own buffalo sauce, Frank’s Hot Sauce does the trick for me. Simple & easy. With BBQ, which I have an aversion to since I dropped one during the recent Super Bowl the Broncos won [🙈😅🙈], I recommend Sweet Baby Ray’s if you don’t want to whip up your own! Serve with carrots & celery, with a side of ranch. 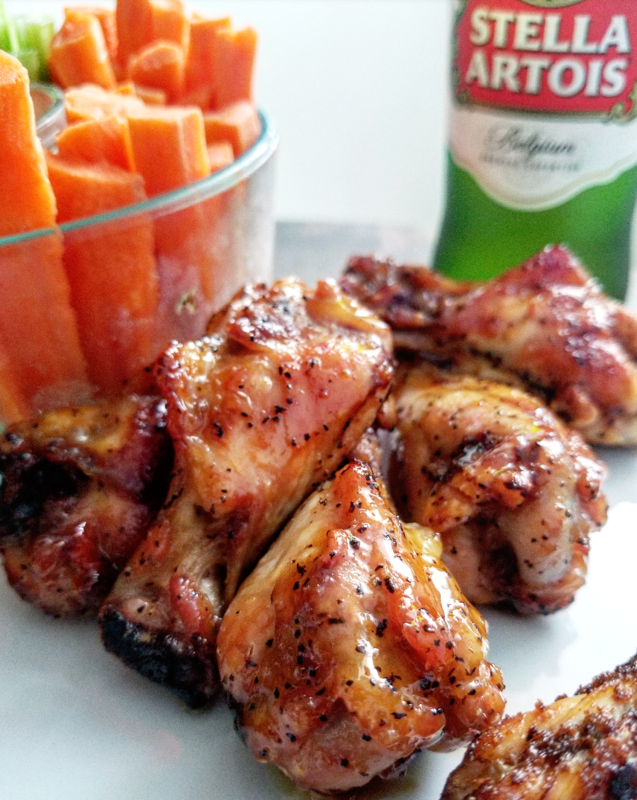 Lighter beer like Stella or Heineken pair well with these wings. Enjoy!!! !